Centuries after wars nearly destroyed civilization, the two islands of New Pacifica stand alone, a terraformed paradise where even the Reduction—the devastating brain disorder that sparked the wars—is a distant memory. 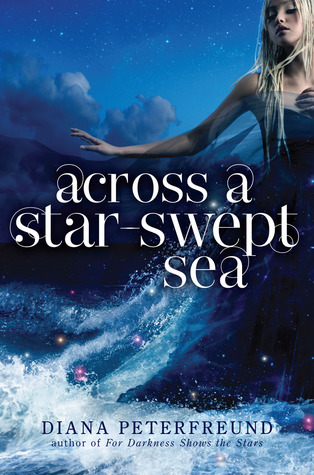 Yet on the isle of Galatea, an uprising against the ruling aristocrats has turned deadly. The revolutionaries’ weapon is a drug that damages their enemies’ brains, and the only hope is rescue by a mysterious spy known as the Wild Poppy. On the neighbouring island of Albion, no one suspects that the Wild Poppy is actually famously frivolous aristocrat Persis Blake. The teenager uses her shallow, socialite trappings to hide her true purpose: her gossipy flutternotes are encrypted plans, her pampered sea mink is genetically engineered for spying, and her well-publicized new romance with handsome Galatean medic Justen Helo… is her most dangerous mission ever. Though Persis is falling for Justen, she can’t risk showing him her true self, especially once she learns he’s hiding far more than simply his disenchantment with his country’s revolution and his undeniable attraction to the silly socialite he’s pretending to love. His darkest secret could plunge both islands into a new dark age, and Persis realizes that when it comes to Justen Helo, she’s not only risking her heart, she’s risking the world she’s sworn to protect. In this thrilling adventure inspired by The Scarlet Pimpernel, Diana Peterfreund creates an exquisitely rendered world where nothing is as it seems and two teens with very different pasts fight for a future only they dare to imagine. Such a lovely novel that managed to uniquely blend a futuristic dystopian setting with a sense of old fashioned proprietary. 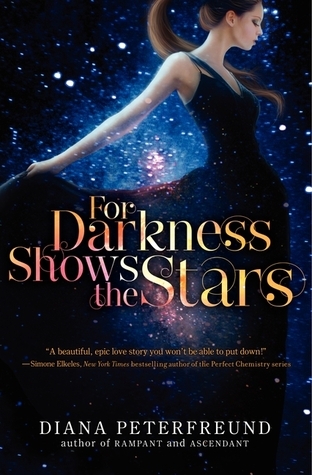 This is a companion novel to Peterfreund’s For Darkness Shows the Stars and I loved how the 2 interlocked though you could very easily pick either book up and read them as a stand alone. Persis Blake lives on an island, Albion – one of the only 2 islands that is left of the world after it was utterly destroyed by mankind’s technological advancements. Both Albion and Galatea have lived without further political issues for generations until the island of Galatea has a revolution against the aristocracy (aristos) by the island’s general population known as regs. When the revolution takes a sinister turn by forcing the captured aristos to take drugs robbing them of their minds and “reducing” them Persis along with her best friend the ruling monarch of Albion decide to take action. 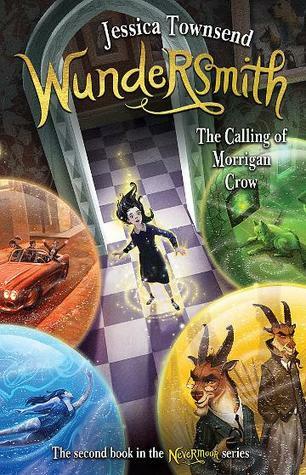 This book manages to create the most totally cool historical court, filled with palmports and sugary flutternotes (think emails that zoom through the air like a paper plane to you!) and crazy fashion. I think I could definitely live on Albion with its beautiful weather and gorgeous beaches along with the fabulous technological advancements and affluent society. Such a completely different world to For Darkness Shows the Stars its amazing that they all live on the same planet! Persis was a fantastic character I really enjoyed her she was the ultimate undercover spy, strong and smart on the inside and frivolous to extremes to the outside world. I also really enjoyed the rest of her league though felt that they were a little bit 2 dimensional. I think they were more added to the story just so that Persis could fulfil her mission requirements rather than provide additional storylines and characterisation. Justen the love interest in this book grated on me, he seemed a bit too dense for someone who is meant to be brilliant. I also wasn’t a fan of the baddy in this book, it was extremely obvious from the get go who the bad guy was and I like to feel a little empathy for my villains and unfortunately I didn’t feel anything at all for them in this book. I found this book so enjoyable, its only problem that while there was a lot of action at times it just seemed to drag on and on and overall I think the book seemed just a bit too long. I simply love this world and really hope that another book comes along and really knits the 2 stories together, that would be amazing! – captivating and beautiful story – what a fantastic follow-up companion novel!